Marisa Tellez grew up in the San Gabriel Valley, which was like a perfect grid. Each tree-lined street was a direct shoot east or west, north or south. No hills, no twists, no turns. In 1985, at the age of 12, she realized she wanted more. It was then that she discovered the Sunset Strip in Hollywood was a bustling scene of glam rock bands, local and transplants, where everyone was scraping to make it in the music scene. At 13, Marisa went to the Whisky a Go Go for the first time. By the age of 14, she was a regular at the clubs on the Sunset Strip. Being a tomboy, she was a bit unconventional for the wild, Hollywood scene. But after surviving the psychotic nightmare of her first boyfriend, she wasn’t about to conform to anyone. She was determined to create her social standing on her own terms. 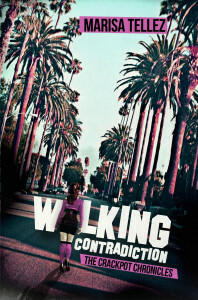 Take a walk with Marisa and her friends down Sunset Blvd as she recalls what it was like being a teenager, battling through the perils of stalkers, cheating boyfriends, groupies, suicide, emancipation, arrests and debauchery during the decade of decadence. * Includes interviews with members of Blackboard Jungle, Glamour Punks, Swingin Thing and more! It’s the early 90s. Grunge is in. The Sunset Strip music scene that Marisa Tellez grew up in has now become a ghost town. After recovering from the death of her father and several of her Hollywood friends, Marisa finds herself at a crossroads as she is on the verge of turning 30. Should she be looking for a husband? A house in the suburbs? Can she set her biological clock to snooze? In an attempt to turn things around, Marisa jumps at the opportunity of a lifetime. She dives into the world of entertainment and lands jobs on some of the hottest shows on television. While Marisa maintains a successful career in television, she has no life outside of her work. The years are flying by and there are several loose ends from her days on the Sunset Strip that continue to haunt her. But before she can bat her fake eyelashes, she finds herself single and on the verge of, gulp, turning the dreaded 40. 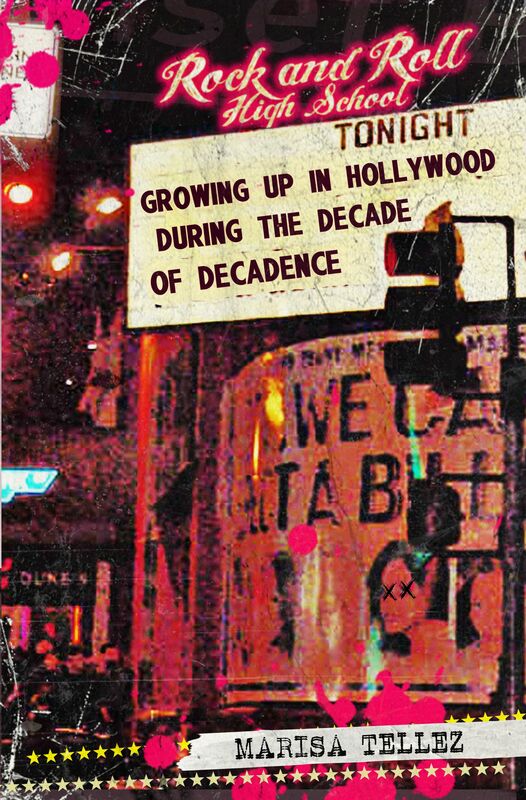 In this amusing sequel to Rock and Roll High School: Growing Up in Hollywood During the Decade of Decadence, Marisa gives you an all-access pass into the world of television. Follow her behind the scenes as she dishes the dirt on some of your favorite shows; while struggling to make amends with her past, find love and stay youthful in a town that thrives only on the young.